What Gödel proved was not the incompleteness theorem but that mathematics was self contradictory – see Nagel and Bunch below. 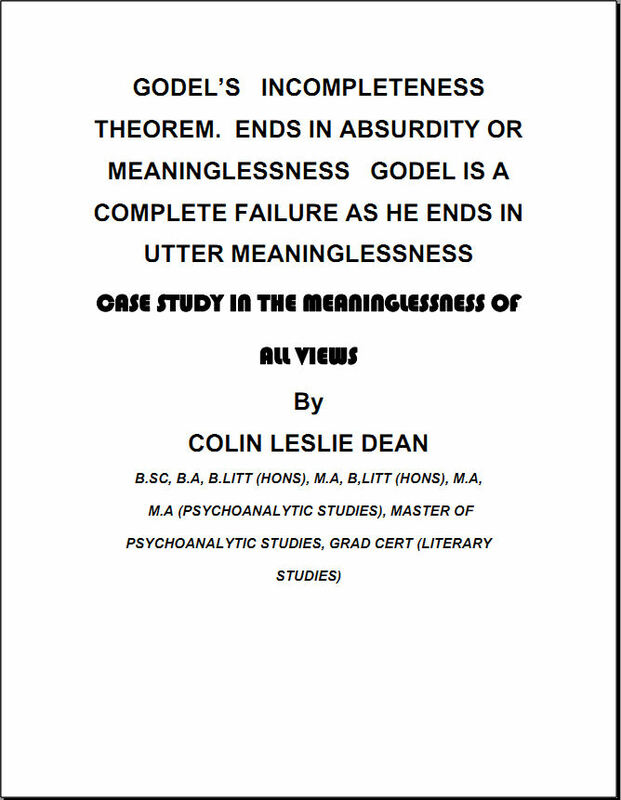 But he proved this with flawed and invalid axioms and impredicative definitions thus showing that Gödel’s proof is based upon a misguided system of axioms and impredicative definitions and that it is invalid as its axioms and impredicative definitions are invalid. For example Gödel uses the axiom of reducibility but this axiom was rejected as being invalid by Russell, Wittgenstein as well as most philosophers and mathematicians. Thus just on this point Gödel is invalid as by using an axiom most people say is invalid he creates an invalid proof due to it being based upon invalid axioms and impredicative definitions.